Aloe Dent Sensitive Toothpaste is an all-new way of cleaning your teeth using some of nature's gentlest and most powerful ingredients. Instead of a paste made with water, this toothpaste uses aloe Vera juice as an ingredient, meaning you get more active ingredients for your money (and your teeth get more of what works best). The aloe Vera juice is combined with natural ingredients like peppermint oil and tea tree oil so your teeth and gums are cleaned powerfully yet gently, and you are left feeling fresh and clean. Brush twice daily with Aloe Dent Sensitive toothpaste for healthy teeth and gums. 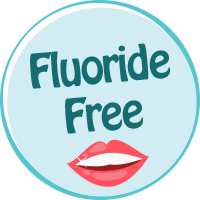 It is recommended that children be supervised when brushing their teeth. Glycerin (plant origin), Sorbitol (plant source), Hydrated Silica (mineral origin), Aloe Barbadensis (Aloe Vera), Aqua, Xylitol (plant origin), Sodium Lauroyl Sarcosinate (protein origin), Mentha Piperita (Peppermint) Oil, Potassium Citrate (mineral origin), Hydroxyethylcellulose (plant origin), Menthol (natural origin), Echinacea Angustifolia Extract, Escin (from Aesculus Hippocastanum), Melaleuca Alternifolia (Tea Tree) Oil, Sodium Hydroxymethylglycinate (protein origin), Citric Acid (natural origin), CI 75810 (natural origin). 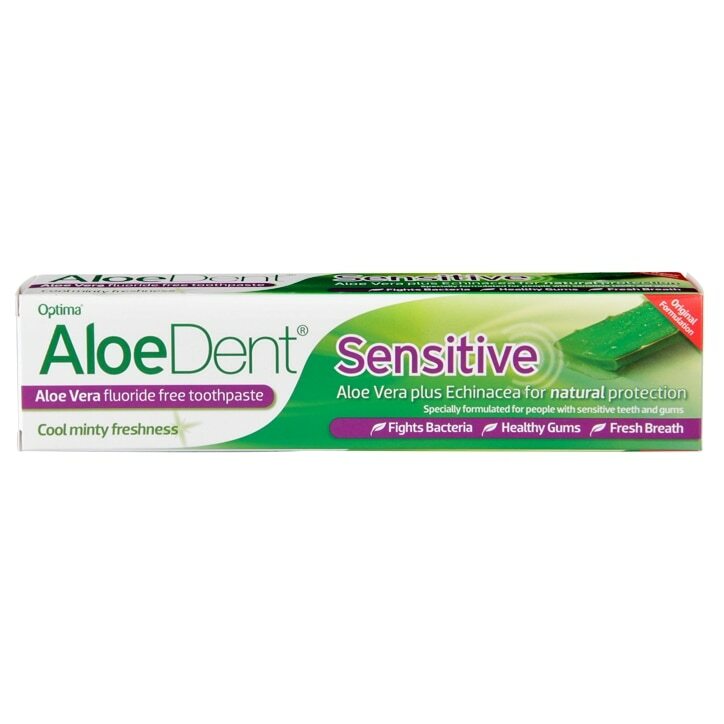 Aloe Dent Sensitive Toothpaste is rated 4.7 out of 5 by 34.